A trail through tall grass and forbs lets me hug the edge of the pond. This morning an unusually trusting swamp sparrow perches on a twisted flower stalk (monarda, I think, also called bee balm) and allows me a good look at the rich russet of its wings and the subtle pattern of its face. 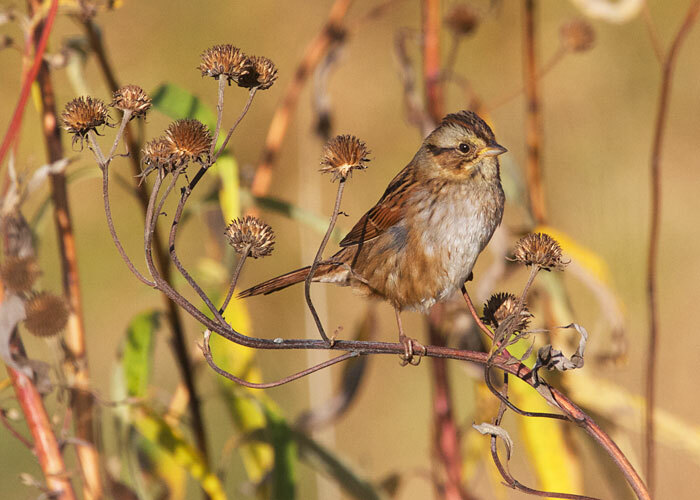 How pleased I am that I can still count on finding swamp sparrows in the fall. How I love sparrow season!